At ASL we want you to know how it feels to be living the limo lifestyle and to understand the style, luxury and comfort of being transported around town in our classy, lavish limousine hire service. 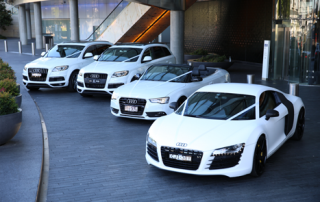 We offer you the premium quality limousines that provide excellent fun for your special night out and people will stop and stare as you drive about in Australia’s ONLY Stretch Audi Q7 Limo. Weddings Perhaps the most important occasion of all, we offer the quality, elegant limo service you need for the most romantic day of your life. Our Stretch Audi Q7 is the most luxurious limo hire service car out there and you will impress family and friends with the ultimate ride on the day of your union. ASL is based in Sydney, servicing the greater Sydney from Newcastle to Wollongong. We will drive anywhere and negotiate a fair price that will suit your budget. When you are in need of a smooth elegant ride to arrive safely and in style, contact ASL.